The number of people without a family doctor visiting the Halifax Infirmary's emergency room has doubled in the last five years, according to the chief of emergency medicine at the Nova Scotia Health Authority for the central zone. Dr. Kirk Magee said they make up approximately 14 per cent of the patients in the hospital's ER. That means that on any given day at the Halifax Infirmary ER, between 25 to 30 patients in the emergency department don't have a family doctor. "It's a lot, we see approximately 200 patients a day, so the numbers are not small," he said. While some are there because of emergencies such as a broken limb caused by a fall, others are seeking urgent care because their chronic illness has worsened. "They try and tough it out, they're good Nova Scotians, and then they end up in our department, you know, in acute distress and end up having to be admitted to the hospital because they're so unwell," said Magee. Some of those patients might have avoided a trip to the hospital if they'd had a family doctor managing their care, he said. Just ask Al Patrick. The 36-year-old Halifax man has had Crohn's disease for most of his life, and at the end of December his family doctor retired. 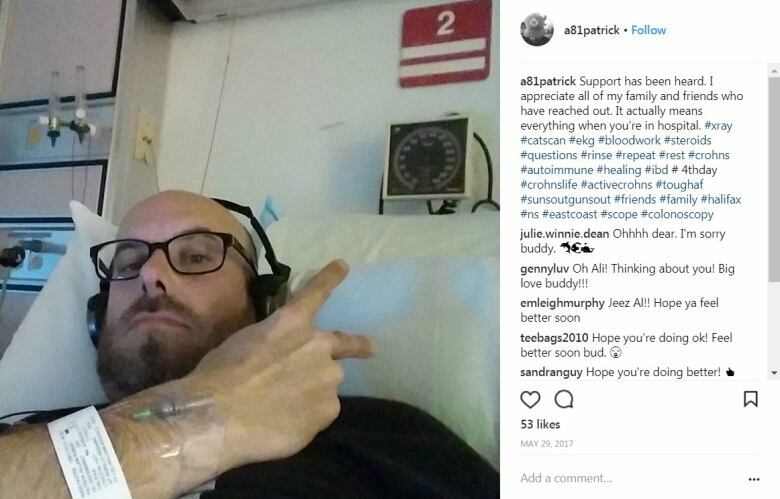 Within days of losing his doctor, Patrick ended up in the hospital suffering agonizing pain from a flare up of the disease. The trouble started when Patrick's pharmacy delivered his Crohn's medication one day late — and his health took a turn. He said he decided to battle the symptoms on his own. But on Jan. 7 the nausea, vomiting and pain were so intense he went to the hospital where he was given an IV of steroids, and a dose of Dilaudid to control the flare up. He said he had no choice but to go to emergency, but if he had a family doctor he would have taken preventative steps. 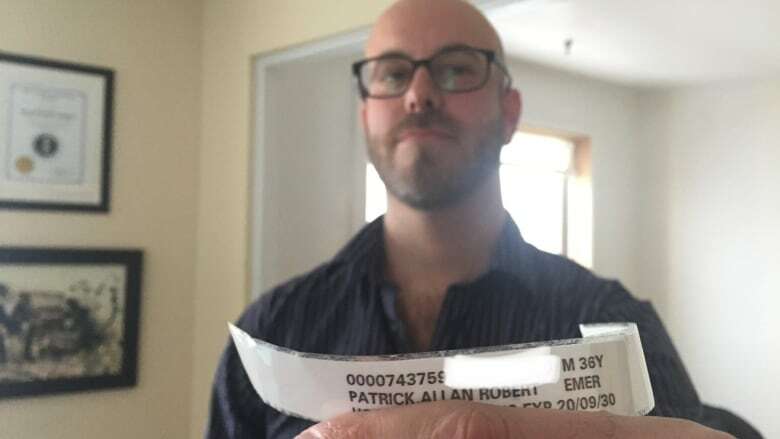 "I wouldn't have waited four of five more days before it got so bad that I had to go to that emergency room," said Patrick. Some other patients without family doctors visiting the ER are people trying to refill prescriptions for potentially addictive narcotics or sedatives, or medications for depression or blood pressure that require monitoring. Magee said he's reluctant to prescribe those medications because they're not within his area of specialty, so those patients often leave disappointed and angry. "I can't really do that as an emergency physician," he said. Another challenge with prescribing medications is that a patient may require follow-up to ensure the medicine is working. "I always wonder if they don't have a family doctor, are they actually going to get worse and not see anyone and get to the point where they have to be admitted?" He said he's also encountered patients who are looking for investigations into what ails them, such as anemia. As an emergency medicine doctor, his first concern would be whether the patient is bleeding in the gastrointestinal tract or has bleeding associated with a tumour. "I'm not so worried about iron deficiency, vitamin deficiency because those things — are they important? Sure they are. But they're not acutely important so I don't have the ability to even investigate those kinds of things in the emergency department." He said he's not aware of any patients that have left the ER and who, without a family doctor, have had their health go awry. But he said family doctors are the backbone of the health-care system and when patients can't access them ,the whole system feels it. As of December, 26 family doctors had been hired in the fiscal year to address the shortage.